You can gain work experience teaching at primary schools in Kenya and no TEFL or other formal teaching qualification is required. 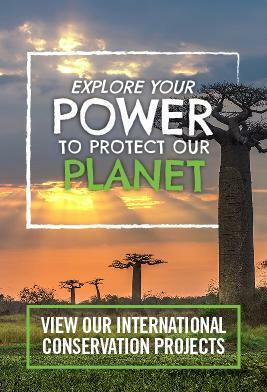 Whether you want to volunteer during your gap year, career break or holiday you will have a role to play and your efforts will be greatly appreciated. The impact you have on the lives of your students will be long-lasting. You will also be part of a much wider volunteer network, which is making a really positive contribution to the communities in which we work. Kenya’s two official languages are English and Swahili, however there are over 60 other tribal dialects spoken throughout the country. This variety is a reflection of the country’s diverse population and timeless culture. Education is paramount in Kenya as they are fully aware that this is the key to development and progression. In 2003 primary education was made free and was an obligatory requirement for all children. This meant that there was a huge influx of children but unfortunately not enough teachers. This is still the case today and the teacher- pupil ratio is a significant problem. Volunteers are welcomed in order to assist and take the pressure off the teachers and provide the children with the individual attention they so desperately need. Our Teaching placements are based in and around the town of Nanyuki. All the lessons are taught in English and many volunteers teach and assist with a variety of different subjects and extracurricular activities. Teaching volunteers often start as classroom assistants helping the local teacher with the classes and working with small groups of children on conversation based tasks. Depending on your ability and preferences you may be asked to take the timetabled classes for a range of ages. Your encouragement and some well planned, interesting lessons are often all that is needed to spark an increased interest in the language and a desire to improve. 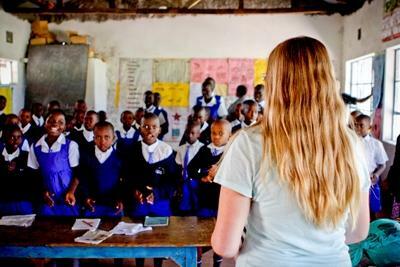 The Projects Abroad team in Kenya often organise workshops for Teaching volunteers. These workshops may focus on cultural differences in placements, learning key vocabulary in Swahili, reflection and feedback sessions between volunteers or practical ideas for lesson planning. The workshops will provide you with a valuable insight into the education system in Kenya and the background of the school where you’re working. Volunteers often get involved in teaching other subjects like sports, art and drama, so let us know if you have any specific skills or interests. If you are a fully qualified Teacher, we can tailor you a placement where your skills will be put to good use. Please Contact Us for more information. You can read more detailed information about the aims of the project in our Kenya Teaching Management Plan. Interested in other volunteering opportunities? What about teaching in Morocco?